The DMA6450 prevents bass drums from "creeping" across the floor. 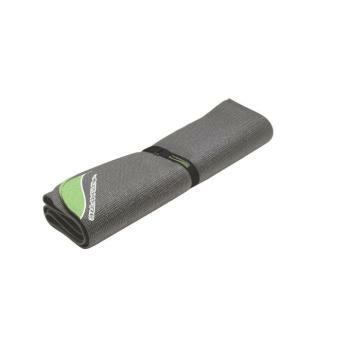 It is a lightweight and convenient alternative to heavy, fraying rugs commonly used by drummers to keep their drumsets from moving while playing. Made from durable, non-slip PVC material, its 6' x 4' area provides ample room for a bass drum, snare and other core set components. Convenient nylon carry bag included.